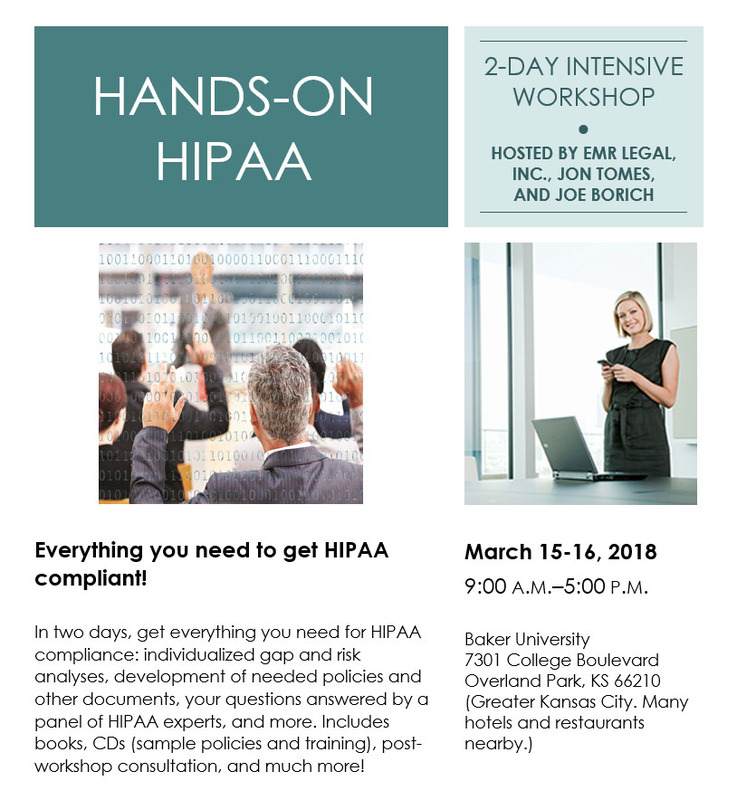 HIPAA Compliance Workshop | Nation-wide - Veterans Press, Inc.
Hands-On HIPAA (“HOH”) is designed to give attendees everything that they need to become HIPAA compliant in an intense two-day workshop. The help from the workshop’s staff of HIPAA experts starts before the seminar, however. Attendees will receive a gap analysis/audit toolkit to fill out. A gap analysis is for those who have not substantially achieved HIPAA compliance, and the audit toolkit is for those who believe that they have achieved compliance but want to be sure. In either event, they will fill out a questionnaire and receive a written report from the HOH faculty highlighting anything that they need to do to fill any gaps identified and to achieve compliance. Any questions that they may have concerning the report will be handled individually in the Thursday morning session by faculty members. 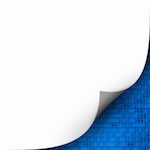 The next area is risk analysis—the absolute key to HIPAA compliance—an initial risk analysis for those who have not yet done one or an update for those who have previously done one or more. Faculty members will assist in determining risks and choosing reasonable, appropriate, and cost-effective security measures to protect against those risks. Based on the report that you will receive on your gap analysis or audit toolkit, please draft your risk analysis or update well before the workshop so that we can help you complete it during the workshop. On the second day, faculty members will help attendees draft policies and procedures using the templates provided on a CD. Instruction on handling security incidents, breaches, and complaints will follow, with a practical exercise on how to handle a breach. After an update on Privacy Rule compliance and required training, a faculty panel will answer attendees’ questions. Bring Your Laptop and Flash Memory Devices! Working Lunch. Lunch provided. Please notify us in advance of any dietary restrictions, such as vegetarian, vegan, gluten-free, and so forth. Happy Hour! Beer, wine, soft drinks, and snacks provided. Working Lunch. Lunch provided. Attendees will peruse a menu and submit orders on Thursday for lunch on Friday from Jasmine Garden Chinese Restaurant. Jonathan P. Tomes, B.S., J.D. with Highest Distinction. President, EMR Legal & Veterans Press. Jon “wrote the book” on HIPAA and has been a HIPAA health care attorney, author, educator, consultant, and expert witness for more than 20 years. He has published more than 60 books on HIPAA and other health information compliance issues. Joseph R. Borich, B.A., M.B.A., J.D., LLM. Vice President, EMR Legal & Veterans Press. A former Assistant U.S. Attorney and HIPAA and other health compliance areas, consultant and educator. Alice M. McCart, B.A. with Honors, M.A.T., M.S.J., J.D. A professional teacher and legal editor and former attorney. Alice has also led covered entities through the compliance process. Brent Sadler, President, WCCiT. Brent is one of the country’s leading computer security experts and has consulted with many HIPAA covered entities and business associates. Sarah Smith, Retired ExxonMobil with more than 27 years in IT. Sarah has participated in several Hands-On HIPAA workshops, focusing on the technical aspects. *Subject to additions/deletions depending on workshop attendee size. Gap Analysis/HIPAA Audit Questionnaire with evaluation once completed. Risk Analysis ToolKit (to get started on in advance if possible to help with the onsite process). THE COMPLETE GUIDE TO HIPAA POLICIES AND PROCEDURES, by Jonathan P. Tomes with accompanying CD of sample policies and procedures. YOUR HAPPY HIPAA BOOK, by Jonathan P. Tomes (binder designed to organize all your HIPAA documents in one place for easy retrieval). HIPAA IN THE DIGITAL AGE, by Jonathan P. Tomes and Joseph R. Borich (forthcoming—will be mailed if not printed in time for the workshop) and/or a course workbook by Mr. Borich. One-year free subscription to the Premium Member section of the Veterans Press website (a $99.95 value). HIPAA HYSTERIA (Jon’s novel—one reviewer said that it was the best HIPAA training resource out there because it put HIPAA into realistic stories). A certificate of completion of HIPAA training and assistance in obtaining CEU credit (attendees are responsible for submitting same). An EMR Legal Certificate of HIPAA Compliance when all necessary components are completed. *If you have bought one or more of these books, we will adjust the seminar price for you. Phines Sanders: This seminar was effective for me, I believe the information learned is very valuable for our agency. Diane Luther: Over the past 10 years I’ve attended 5-6 single day HIPAA workshops. While they were helpful, I always left the training afraid. I may be missing something important and sometimes rather overwhelmed. The two-day, hands on format was so helpful and I’m feeling much more confident in our compliance. Thank you. Jaque Schmidt: Great opportunity! Thanks so much for letting me know about it. I hope you will do these annually. Amy Morrison: This hands on training is great! You provided more than a list of what to do but actually provided how to do them. Susan L. Adkins: I have more helpful & practical information from this seminar than any seminar re: HIPAA that I have attended and I’m not walking away scared to death. Danelle Sommerfeld: I so appreciate of all the information we received. It will be so helpful. $1,095 if you register before February 15, 2018. Thereafter, the regular price is $1,225. Call or email for special group pricing. Register at www.veteranspress.com/workshops or send this form to Jon Tomes, EMR Legal, 409 W. 62 Street, Kansas City, MO 64113.